Praise will always be part of our prayers—as we express our love, honor, and reverence for God. Praise begins from the Holy Spirit. He causes us to praise Him. This is true for us now and it will be true for eternity. Now of course our praise is limited because we don’t always allow God to fill us and control us. But in heaven we will always be full of His Spirit, and therefore full of praise to God. When the Spirit moves us to praise Him, I believe He most often works in conjunction with the Word. That is, He will move us to meditate on His Word; and then, as we see wonderful things in His Word He will cause us to praise Him. This phenomenon occurs of course in a limited way now, but in heaven the Word will be unrestricted and will flow freely through our mind and heart, causing us to perpetually see His glory and praise Him. Thanksgiving is slightly different than praise. Praise is always directed to God and is intended to give honor to God for who He is and for all His works. Thanksgiving is also intended to give honor to God but is more personal. When we thank Him in prayer we usually thank Him for what He has done for us personally and for our friends. It is expressing our gratefulness to Him. And there is a great benefit to this part of prayer; for when we express our thanksgiving to God it produces in us evidence (confirmation) that we are filled with His Spirit. And by that evidence we are made confident in Him—so that we are always ready and prepared to worship Him. Now, in this earthly body, our thankfulness is sadly lacking. 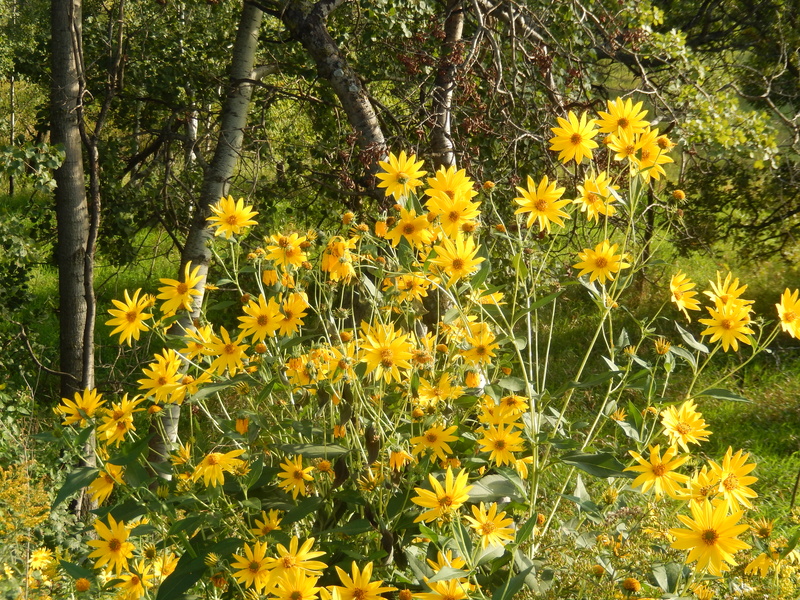 But when we receive our glorified bodies, instantly our spirit will change. Our attitude will be full of gratitude. Yes, this will be our wonderful demeanor forever; we will take great joy and pleasure in thanking Him for everything. There will never again be a selfish, ungrateful moment. We will forever be overwhelmed with gratefulness for His wonderful love and care for us. The asking part of prayer is very different than praise and thanksgiving in that it does not seek to give anything to God, but rather seeks to receive from God. This does not suggest, however, that our petitions are disconnected from the other parts of prayer. In fact, all three parts of prayer are vitally connected. True prayers of petition are always made and supported “with thanksgiving” (Phil. 4:6) and have the flavor of praise. When we ask for anything it will (or should) always be with the attitude of gratitude and “to the praise of His glory” (Eph. 1:12, 14). Asking God for things (with thanksgiving and praise) will always be a part of prayer, for it is the nature of petition to express our dependence on Him—as we will always be dependent on Him for everything, as a branch that grows from a vine. Moreover our eternal existence depends on Him; our lives will always flow from His life. Therefore, the principle of asking and abiding will never ever go away. It is a kingdom principle that is eternal (Jn. 15:5-7). But our asking, our being dependent on Him will never be a drudgery; we will never be bitter against Him or wish we were autonomous (a god). Some may think, as I once did, that we will be as gods, with no needs and no dependence on anyone—that God will make us just like Him. But that will not be the case. Though we will always have His nature and character, we will never be divine; we will never be without dependence. And that I’m sure will suit us fine. I’m sure we will always be pleased with our dependence on God and with our connectedness to Him; for that is the beauty of our relationship with Him. We will never want it any other way. Now, as to what things we will ask for, I believe we can divide them into three groups: (1) for things pertaining to God’s will and kingdom, (2) for personal needs, and (3) for others. The first group or the first level of asking is the first priority of our asking. Things pertaining to His will and kingdom are and will always be the most important part of prayer. In heaven I suppose we will always be talking to God about the kingdom and about what His desires are. And we will of course always be seeking a more intimate knowledge of Him, desiring from Him that He would reveal more of Himself to us. Personal desires will never be considered as important to us, because we know that God will always supply all our needs. But we still will ask Him for what we desire and need because we are and will always be in a dependent relationship with Him. Hence, for whatever we desire, if it is good for us and in the Father’s will for us to have it, then we may ask Him for it and He will give it to us. Therefore the principle of asking and receiving, even for personal things is an eternal principle (Jn. 15:7; 15:16; 16:24). The third part of asking is for others and is most often called intercession. This part of prayer will most definitely last for eternity because it is something we do when we are most godly. It is the most unselfish part of prayer and the part of prayer that God Himself is engaged in. Though we usually separate intercession from personal prayers, intercession in a sense includes them. That is, if we are praying correctly (in the Spirit), even when we pray about our own needs, we also, at the same time, are praying for other believers because of our connectedness in the body; for all believers are connected and part of the body of Christ, and when we pray for personal needs, we are also praying for others as a family, saying “our Father” rather than “my Father” (Matt. 6:9). We don’t feel this communion with each other so much now, because of our selfish tendencies, but when we are glorified it will be different. In heaven, though we will have separate identities and separate thoughts, we will always be thinking of others and care for others. I think to some extent we will also know the thoughts and feelings of others. I can’t wait to experience it. Being united with others in this way, of always thinking of others, will radically change prayer from what it is now. Prayer will be so very glorious, so very comforting. When we pray, when we talk to God about anything, we will feel and experience the thoughts and emotions of every other believer; we will be touched by their love and compassion for each other like we have never experienced before. This entry was posted in Part 4, Peak of Prayer, Prayer A to Z Excerpts, Zenith of Prayer and tagged asking in prayer, eternal nature of prayer, Eternity, praise, praise and prayer, prayer, prayer of petition, thanksgiving, thanksgiving prayer. Bookmark the permalink. A prayer without praise is one that is hollow for it does not recognize the power of God’s grace. Without thanksgiving, prayer seems impersonal for it focuses on the general things of God and not make Him appear impersonal. Prayers that make no petition demonstrate a lack of faith on the one who gives the prayer; for they do not believer that God would answer their requests. Giving praise to the Lord in our prayers causes us to stop and realize who is the source of all things, for without Him, nothing was made. When we add thanksgiving with praise, we understand that the Lord is not just all powerful, but He is also personal; He knows everything about you and me. When we make requests of God, we show our trust in the Lord’s provision; it is a demonstration of our faith in Him. When we pray, it is easy for one to not be sincere. This is so either because we are in a hurry or we do not have great respect for the Almighty. If spending time with the Lord is important to us, let us make the time to praise Him, give thanks, and make petition. 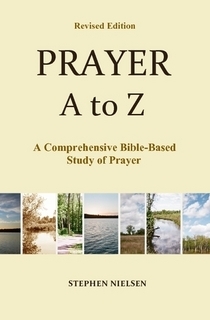 Hey Stephen, I just can’t thank you enough for your humongous (735-page-long) labor of love and loyalty, i.e., your book “PRAYER A to Z: A Comprehensive Bible-based Study of Prayer”, revised edition (Lulu.com: AD2014) — copies of which arrived in the mail recently. Knowing what quality and depth and insight to expect, from reviewing your blogs, your thorough-and-very-readable tome on prayer (including is coverage of what is not Biblical prayer, e.g., so-called “contemplative prayer”) has exceeded my already-optimistic expectations. So now I am hurrying to complete writing an online course (God willing) for ICR’s apologetics school, that will use your hue book as a textbook. So, thanks again (as the Norwegians say, “tusen takk!”), for this huge contribution to Bible-based systematic theology. Thank you so much. To God be the glory!